This is the toddler list but be sure to check out my lists for mom, dad, and baby! I’ve been searching for great gifts for the past few months. A few of these are also affiliate links or are products that were gifted to me to review at some time or another. Everything you see here represents gifts that I truly think a toddler would love, and all opinions are my own! See my full disclaimer here. I’m really trying to stick to buying ‘Something they want, something they need, something they wear and something to read’ this Christmas so that’s how I’m going to set up my lists! We have two balance bikes so far. One is from Chillafish and one is from Tootscoot. They are both awesome strider bikes! If you have a younger toddler I would suggest purchasing the Tootscoot. They are lower to the ground and just smaller in general which would be easier for a small/young toddler to operate. For older or taller toddlers I would go ahead and purchase the Chillafish BMX-ie since the seat is up a bit higher. Leopold isn’t quite tall enough to ride his Chillafish balance bike yet…he need to grow about another half inch. It is a very cool bike though and you can even find them at Costco! We just got the cutest mini scooter from Best Choice Products to review and Leopold caught on right away! If you want to try a different route from the balance bikes, you should check out a scooter! These bags are so cool! I found the Play and go bags on Instagram and absolutely love the concept. Each bag is a fun play mat that can be cinched up into a bag for easy clean up. You could include a set of legos with this gift for extra fun! These blocks are basically a big play gym for kids! They are so cool and can be arranged in many different ways for maximum imagination! This would be a great ‘big Christmas gift’ for any age toddler! You can find Nugget on Instagram here! For the musically inclined kids, Apple Tree Toys has the cutest wooden toys and instruments! I bought my son a green umbrella stroller from Triokid for his birthday and he absolutely loves pushing it around! We took it for a walk and he couldn’t get enough of his newfound independence! They have the cutest stuff and I definitely want to get a wagon next! Any child, boy or girl, would love to see one of these under the tree on Christmas morning! You could even put a new doll or stuffed animal in it to make it even more special. A friend of mine makes the cutest gifts for kids out of felt and cloth. This mother and daughter team sells a fabulous matching game, and some really fun felt boards for toddlers to decorate their own Christmas trees! Find Heartfelt market on Instagram and give them a follow! If you do decide to add to the stroller, here are some great options! Wondercrew has super cute boy dolls that I’ve had my eye on for a while! Slumberkins is always on my list because their loveys promote healthy attachments and they are the absolute cutest little creatures. Kids love making messes and creating something out of nothing, so craft supplies are a must! I found the cutest shop on Instagram that sells homemade playdough called ‘doughremi shop’. You could also grab some finger paints, paint brushes, and paper from Hobby Lobby or Michaels. Craft kits that are geared toward your child’s age are a win too. This company makes the cutest stability balls you have ever seen! My son goes nuts over these when he sees them so I know he would love one with an animal face that much more. 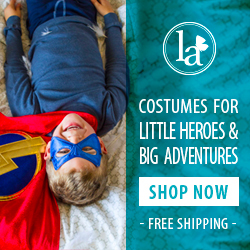 This company sells toys in sets and they are simply magical! These are great if you like to teach your kids using themes. They have themes such as rainforest, farmers market, pirates, and more! This company sells a variety of open ended toys (my personal favorites) that encourage kids to use their brain and imagination. These types of toys are the kind that never get old! Miriam’s Toys sells the coolest floating activity sets for learning and playing inside and out of the bath. SoapSox are a fun way to get clean and play at the same time! Leopold’s current favorites are his pipes from Boon baby. We love all of our EZPZ gear! We have the full size mat which is great for eating at home on the table. Recently we got the mini mat which would fit perfectly on his IKEA high chair, and is great when we go out to eat. The Latest Innovation from ezpz is Here – Buy the Mini Mat Today! Constructive Eating sent us a Construction plate set to try out and it’s so much fun! They also have fairy garden set for those who aren’t into trucks 🙂 Who says playing with your food is bad?? I don’t believe it! We got the Rest a while ago as a gift from my mother in law and it’s been one of the best gadgets ever! I highly recommend this product for parents of any age child. It can be operated from you phone or directly on the light, has light and sound, and looks sleek and trendy. Seriously, it’s the best. These blankets from Baby Laundry and More are super cute and look like they are super soft! They are made for toddlers so they aren’t too big or too small, and the designs are so cute! We won matching beanies from Pintsize a couple of months ago and they are SO cozy and absolutely adorable! All of the clothes from Pintsize are sensory friendly for kids who struggle with how clothes fit or feel. If you and your tot love bright colors and fun prints as much as we do, you need to check out Modern Rascals! They sell imported clothes straight from Europe that are the cutest, softest, and most durable clothes! I’m sure you have seen these moccasins around social media. They are popular for a reason! We were skeptical but after we got our first pair it was true love! They are so soft, durable, and comfortable. If you get a plain color your toddler can wear it with just about everything! These would be great for a Christmas present that would last all year! You can’t go wrong with the classics! 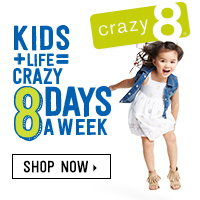 Shop Gymboree for children’s clothing that will last and have your child looking their best! While I was making this list I came across these ADORABLE pajamas created by a twin mama. I can’t seem to have enough PJ’s for my son! If you’re on the hunt for solid, classic looking shoes that will match almost anything…look no further! I stumbled across The Humble Soles a couple of days ago and absolutely fell in love! Check out their adorable leather kicks and support a good cause at the same time! What’s better than reading a book about yourself?? Your toddler will love finding their photo in these new books from I See Me. Upload your child’s name and photo to personalize your very own photographic seek-and-find book where your child is the star! I hope this list has inspired you! Be sure to check out my other Christmas lists for mom, dad and baby! FANTASTIC LIST! I totally thought I was on top of the christmas gift game but you have given me a ton more ideas! We just got my daughter a balance bike and she is obsessed with it! Aw I’m happy to help!! I’m pretty proud of this list myself lol.